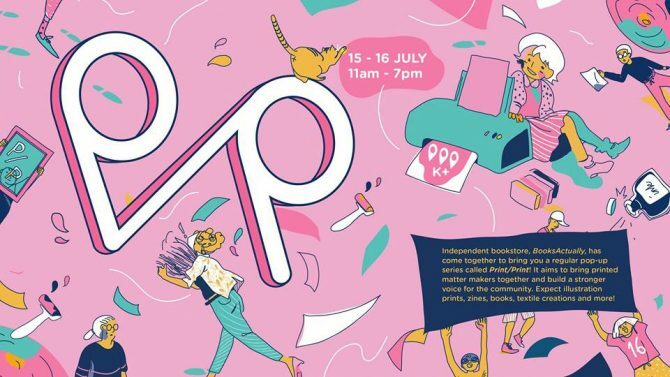 14-16 July: Visit a pop-up book fair, try an XO burger and check out an arts centre just for kids! On 15 and 16 Jul, band together with lovers of the traditional print at BooksActually’s regular pop-up series, Print/Print. The event aims to bring printed matter makers together and build a stronger voice for the community. Expect a refreshed lineup of 12 vendors, including illustrators, zine-makers, textile designers and more. Visitors can also participate in a free print workshop by STPI – Creative Workshop & Gallery, where they can print their own unique image using hand-cut stencils on paper and try an alternative kind of screen printing.